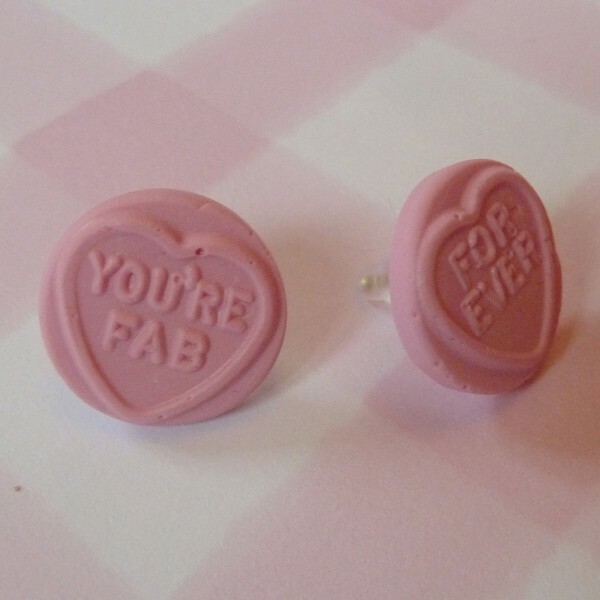 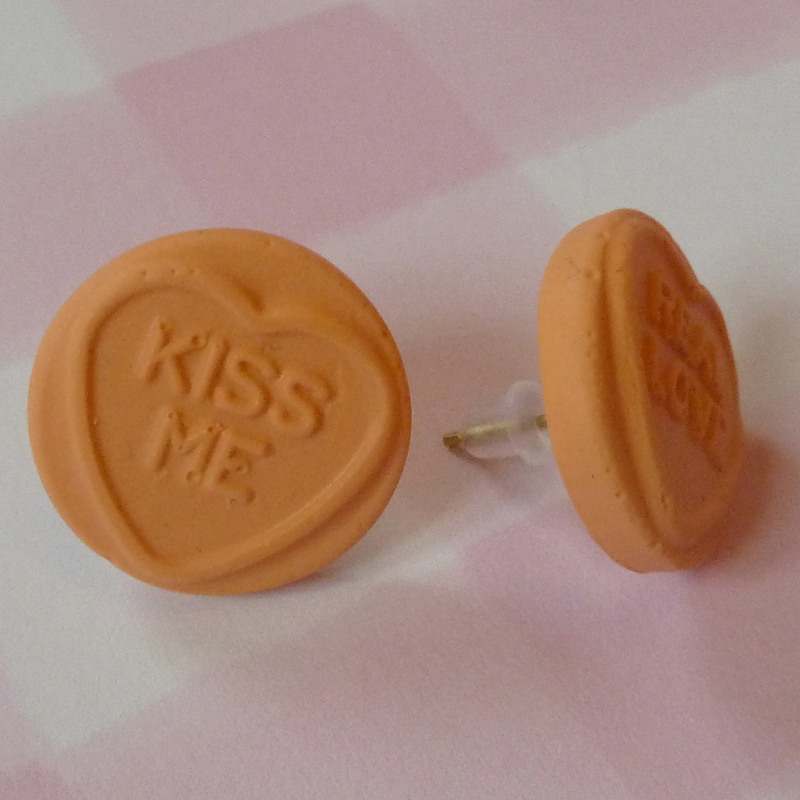 These sweet earrings feature cute love heart clay charms on Sterling Silver Hooks or Studs. 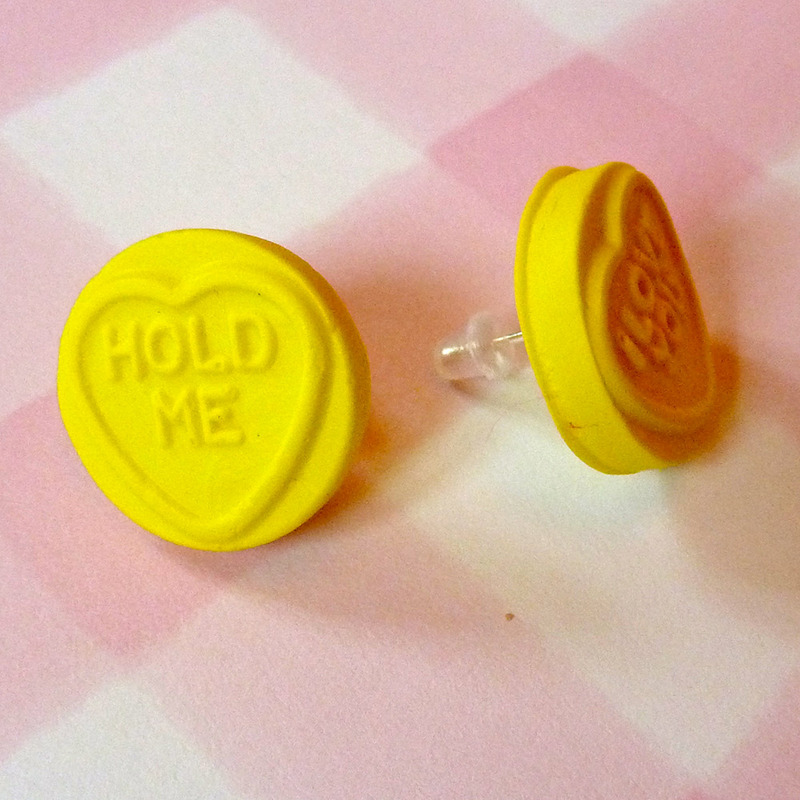 The Love Heart charms look good enough to eat, but no nibbling!! 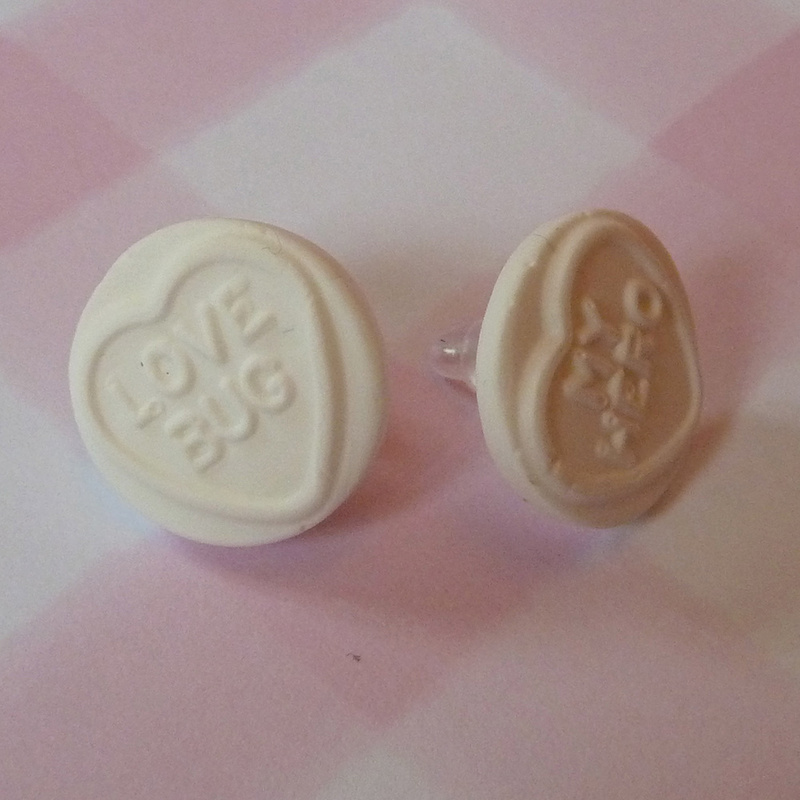 Choose your favourite flavour, from Strawberry, Violet, Lemon, Orange or Vanilla and let me know whether you prefer Studs or Dangly earrings. 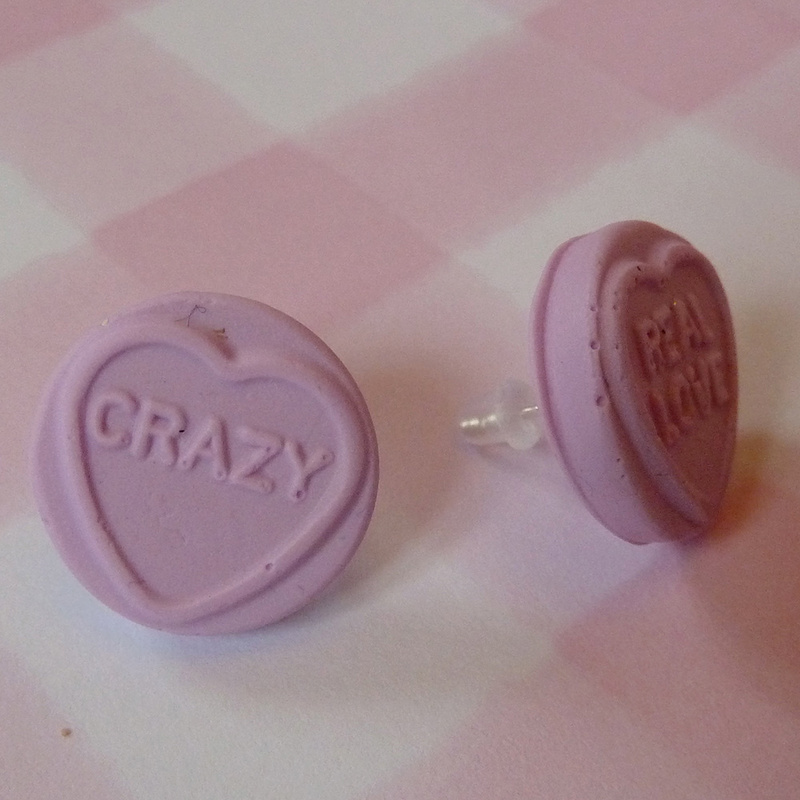 Matching Items are available - Bracelet, Necklaces, Hair Clips, Rings, Cufflinks and More!